We take great care with all our eye treatments, as it is such a delicate area and do our utmost to ensure all precautions are taken to put you at your ease. 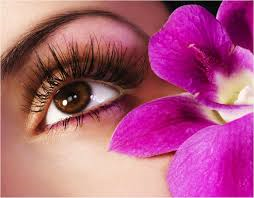 We offer eyelash and eyebrow tinting, party lash application and lvl lash lift and tint. Please note that tinting does require a patch test at least 24 hours before your appointment. Party Lashes are perfect for creating volume and length for special occasions, holidays or just to wear everyday. Fabulous lashes in less than ½ hour!! Patch test is required. Designed to lift the lash at the root, creating the effect of longer lifted lashes. Lasting between 6-8 weeks.